Spooky giggles to rattle your bones! 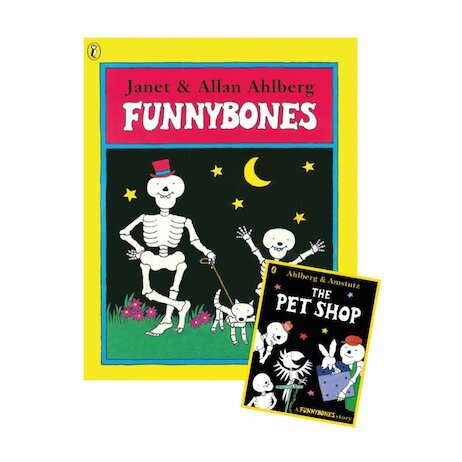 The classic comedy Funnybones – now also starring the cheeky skeletons in a totally FREE mini book. In the dark dark cellar of a dark dark house live a big skeleton, a little skeleton and a dog skeleton. One dark dark night, the skeletons sneak out on a mission to scare someone! But – uh-oh. Everybody is in bed. Will they find anyone to frighten? And what will happen when they visit a pet shop in search of the perfect skeleton pet?